Dubai: History does repeat itself as for the second successive year Al Saqran Stud clinched the coveted Senior Stallion Gold Championship on the final day of the 16th Dh15 million Dubai International Arabian Horse Championship with the beautifully bred Sandown KA. The five-year-old narrowly outscored QR Marc, the 2012 World Champion from whom he was bred, in the closely contested showpiece event. We are absolutely delighted to win such a prestigious title at one of the world’s most prestigious shows. Believe me it was not easy, we felt the tension. But in the end we got the result we were hoping for. 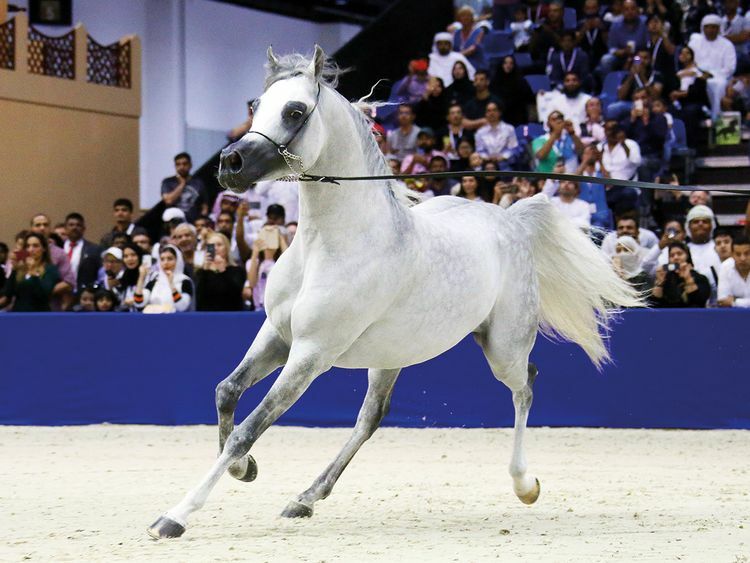 Both horses are a product of Knocke Arabians, one of the largest Arabian stud farms in Europe boasting a unique collection of prized stallions. Knocke Arabians was founded in 2004 by Paul Gheysens and his wife. Sundown KA is currently owned by the Sharjah-based Al Saqran Stud, whose manager and public relation officer, Ahmad Moussa spoke to Gulf News shortly after the horse was garlanded with the gold medal and sash. “We are absolutely delighted to win such a prestigious title at one of the world’s most prestigious shows,” he said. “Believe me it was not easy, we felt the tension all through the competition. But in the end we got the result we were hoping for. “We know Sundown KA is a beautifully bred Arabian show horse, but so are all the others in the event. The standard is very high this year, so it makes the victory even more special,” he added. 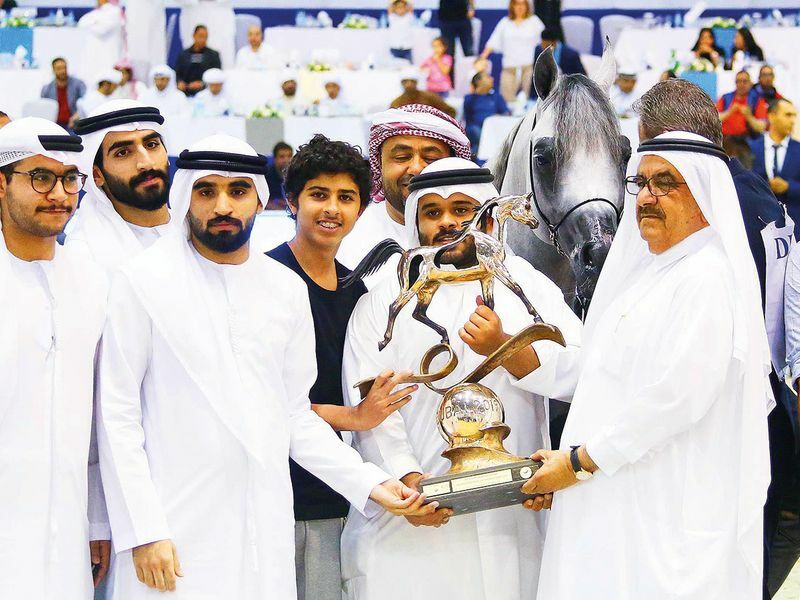 Meanwhile, the Dubai Arabian Horse Stud demonstrated why they are recognised as one of the most successful Straight Egyptian and Purebred horse farms in the region when D Mezyan won the gold in the Yearling Colts Championship with a day’s high score of 34 points. Ajman Stud, another local powerhouse, did not go home empty handed when AL Kafu won the Junior Colts gold. 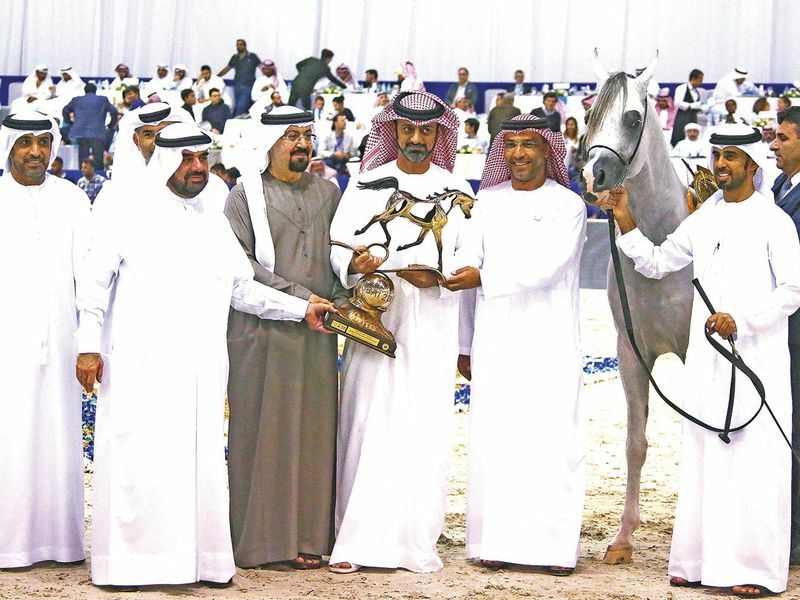 The DIAHC was founded by Shaikh Hamdan Bin Rashid Al Maktoum, Deputy Ruler of Dubai and Minister of Finance in 2004 to celebrate the beauty of the Arabian show horses. This year’s event featured only the best show horses in the world.